The Latest: On Apr. 2, U.S. District Court Judge Jennifer Zipps rejected provisions in a 2015 federal management rule that unlawfully imposed roadblocks to recovery of the endangered Mexican wolf. The judge particularly faulted government officials for disregarding the advice of expert scientists who warned that the new management rule would hinder recovery of the species. “This ruling offers hope that the Mexican wolf can be pulled back from the brink of extinction before it is too late,” said Earthjustice attorney Timothy Preso, who argued the case for conservationists. Read more. Meet the Mexican gray wolf, one of the most endangered mammals in North America. Experts believe the genetically weak population could rebound if more wolves are released into the wild. So why is this wolf, and so many of her kind, living out their lives in captivity? A day in the life of the Mexican gray wolves at the Wolf Conservation Center. 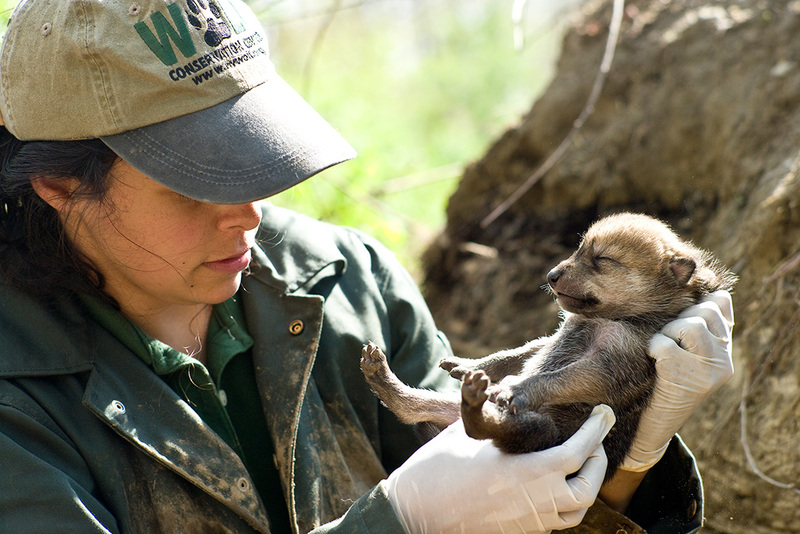 On April 30, 2008, Rebecca Bose, the curator at the Wolf Conservation Center in Westchester County, N.Y., led a small group of workers and volunteers into a 1.5 acre wooded enclosure that housed a pack of rare Mexican gray wolves. Somewhere hiding in the undergrowth were 10 adult wolves. Bose and the others remained calm. Having worked at the center since it opened in 1999, she knew that wolves are instinctively terrified of people. Over the previous few weeks, the center’s staff had been monitoring the cameras in the Mexican gray wolves’ enclosure. The pack’s breeding female had been seen furiously digging a den and pulling at her belly fur. When Bose located the den, she pulled out a flashlight and shimmied head first into the dark hole. Poking her head into the den, Bose heard a few squeaks. One by one, she pulled out seven potato-sized pups and placed them into a burlap-lined basket. With the help of the volunteers, she quickly checked the pups to determine their sexes and looked for any obvious abnormalities, and then returned them to the safety of the den. Bose holds a very young F1143, who would be known as ‘Rosa,’ on April 30, 2008. The pups were just over a week old, born on Earth Day. Mexican gray wolves, also known as lobos, have a wild population that has stagnated at around 100 wolves over the past several years. Wolves born in captivity are therefore considered critical to the survival of the species at large. Rosa and her one-week-old siblings in 2008. The litter had four males and three females, including a tiny, fox-faced loba. She was given the scientific number F1143, but dubbed “Rosa” by the center’s many fans from around the world who watched live streams of the wolves. Within a few days of birth, a veterinarian examined Rosa and her littermates to check for any birth defects, such as cleft palates or umbilical hernias. While regular vet checks are typical for all wolves at the facility, there is more intensive protocol for such an acutely imperiled species. Inbreeding is a major problem for the lobo population. 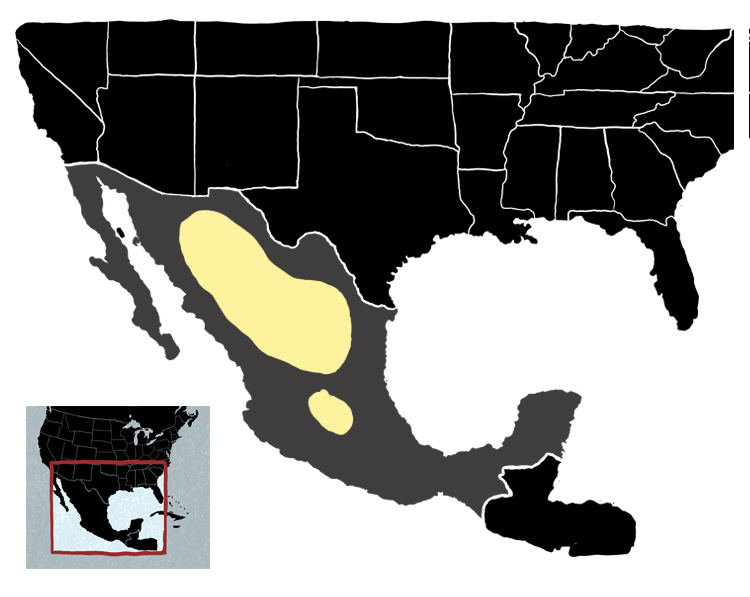 In the first half of the 20th century, the federal government exterminated virtually all Mexican gray wolves in the United States. This unique line of wolves—which scientists believe was likely the first gray wolf subspecies to cross the Bering Strait into North America many thousands of years ago—was thinned down to fewer than a dozen individuals within just a few decades by the government-sponsored killing. After the passage of the Endangered Species Act in 1976 and a sweeping change in public opinion that led Americans to speak out for the protection and recovery of imperiled species, the U.S. Fish and Wildlife Service sought to bring back the lobo. It was almost too late. Today, all living Mexican gray wolves are descendants of the last breeding survivors of the government’s lethal program, just seven wolves. Thousands of wolves roamed throughout the American southwest and northern Mexico, until a federal program led to the extermination of the population in the U.S. After the wolves nearly went extinct, the U.S. federal government began a captive breeding program with the last seven survivors. 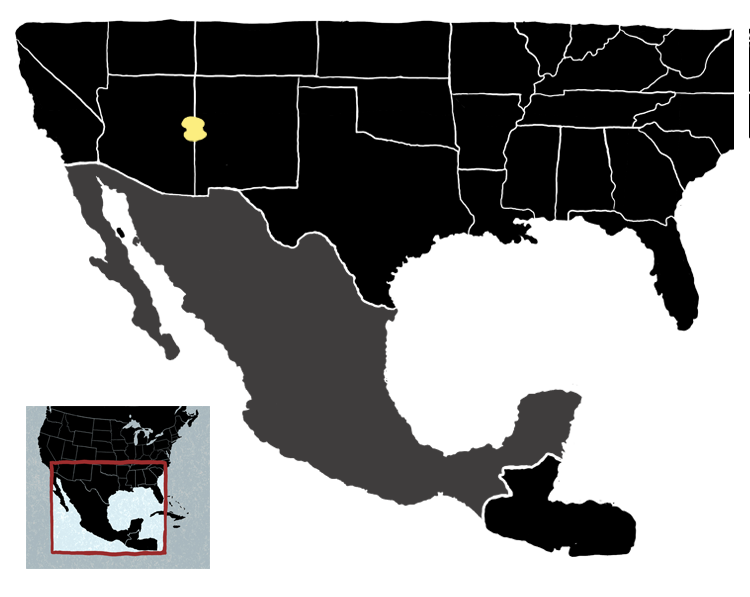 Eventually 11 captive wolves were released into the Blue Range Wilderness. On last count, there were 113 wolves in the wild and 249 in captivity. 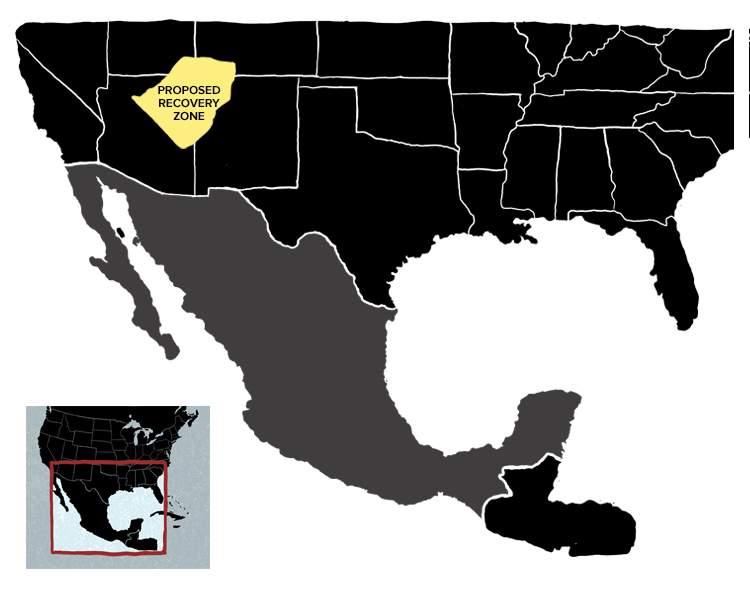 Scientists say for the wolf to recover, more need to be released into a larger area that includes the Grand Canyon. Because they were pushed so close to the brink, the recovery of the wolves has required intensive human intervention. The Wolf Conservation Center participates in the federal recovery program for the Mexican gray wolf, working in cooperation with the U.S. 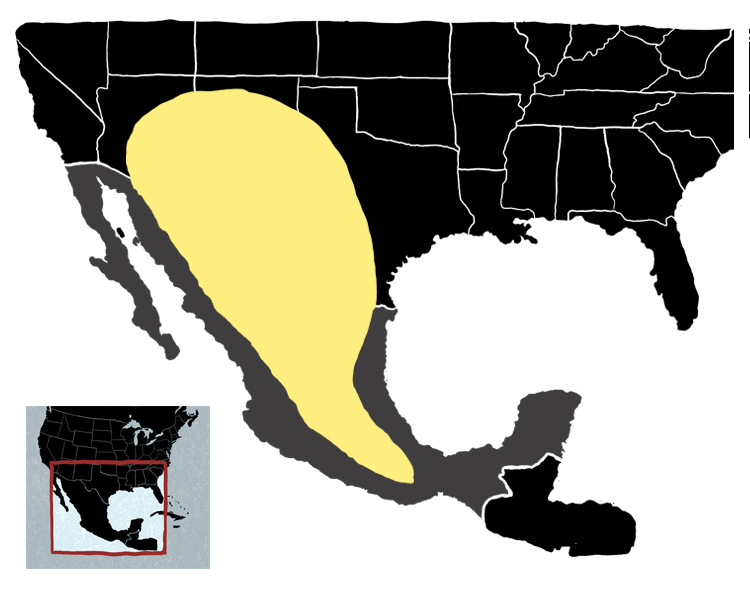 Fish and Wildlife Service and other wolf centers and zoos across the United States and Mexico. 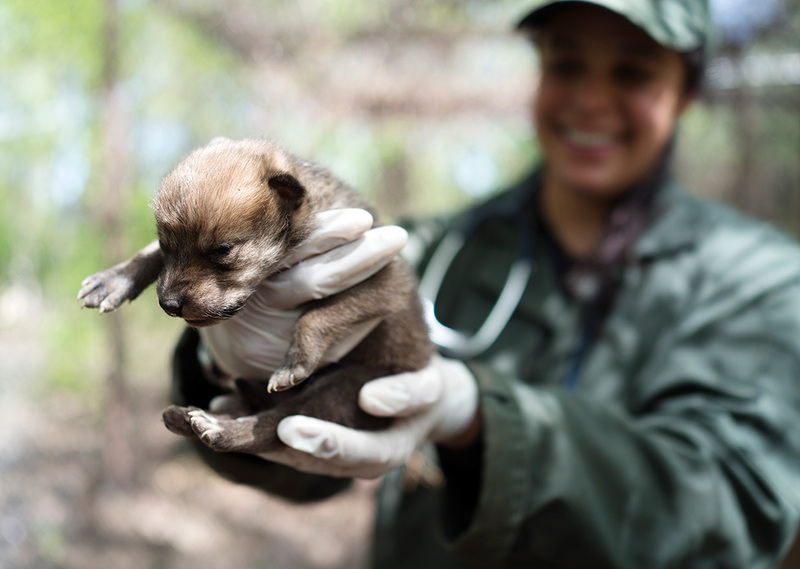 To prevent their total extinction, the service and its Mexican counterpart captured the last known lobos in the late 1970s and brought them to facilities like the center in Westchester County. The effort launched a captive-breeding program to try to recover the species from those few surviving wolves. Rebecca Bose, curator of the Wolf Conservation Center. Once a year, Bose joins representatives from other wolf sanctuaries and zoos to play matchmakers for the Mexican gray wolves. The group looks at the genetics of the entire population of both captive and wild lobos before deciding which wolves in captivity should be moved to other facilities in an effort to bolster the population as a whole. Maggie Howell, the Wolf Conservation Center’s executive director, stresses that the best way to manage this species is to use genetics as a guide for all decision-making. “Because the diversity is just so limited within both the wild and captive population, it really can only take one event, or one virus, or one disease to put the entire species in peril,” Howell says. Maggie Howell, executive director of the Wolf Conservation Center. Back at the Wolf Conservation Center, Rosa and her siblings all got clean bills of health after the initial vet check. That made them candidates for future breeding and release into the wild. As such, the lobos at the center are confined to densely wooded areas of the 28-acre property away from human contact. This is to help them retain their wild nature and innate fear of people. 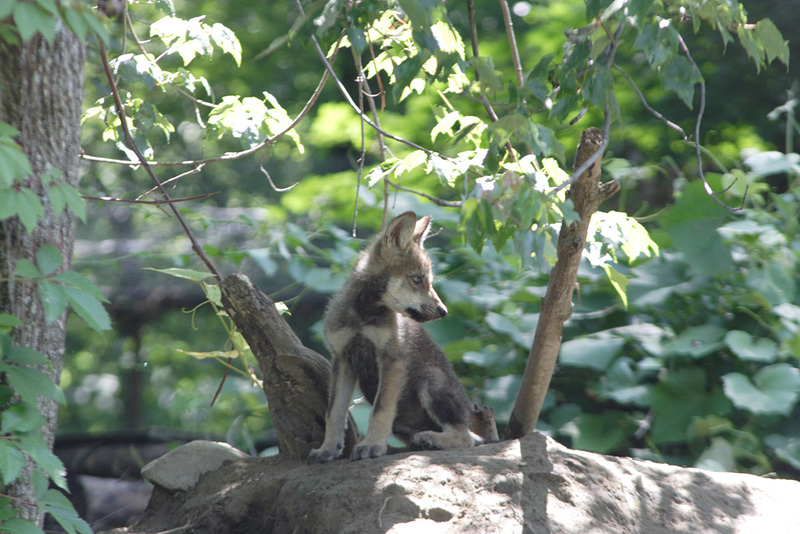 A young Rosa at the Wolf Conservation Center, June 17, 2008. Rosa spent her early years together with her six littermates, older siblings and parents. Bose says the dynamic social interactions that play out within a multigenerational pack is a critical experience for a wolf that may one day be wild. “[It] shapes the wolf behaviorally, which in turn has a positive impact on how they raise their own pups in the future,” says Bose. After nearly 20 years of breeding lobos in captivity, in 1998 the service reintroduced a small population of Mexican gray wolves into eastern Arizona and western New Mexico. 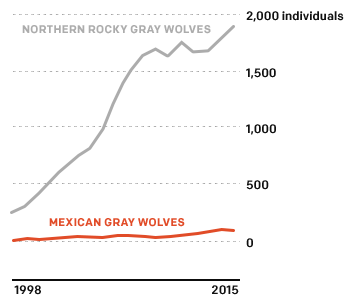 But unlike the success story of the gray wolves' triumphant return to Yellowstone, the lobo hasn’t rebounded in the same way. Since the lobos’ reintroduction, the U.S. Fish and Wildlife Service has continuously caved to state fish and game agencies whose hunting constituents perceive the wolf as an unwelcome competitor for deer and elk. 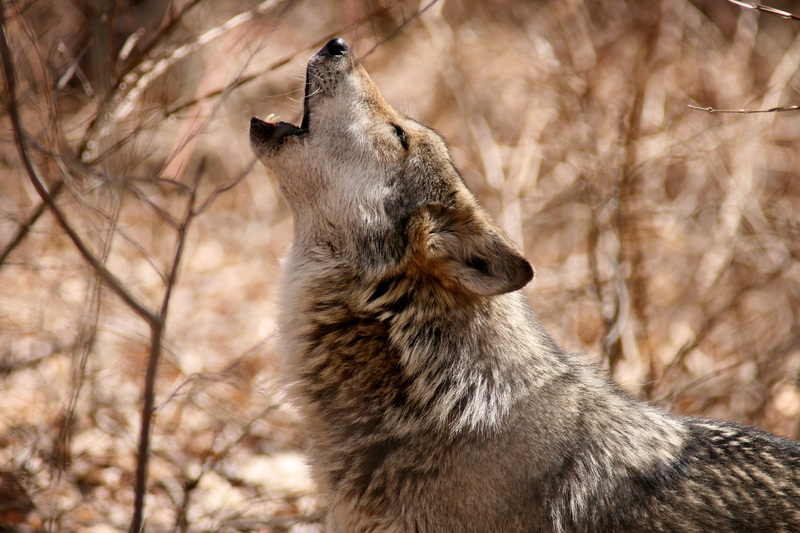 In addition, ranchers, who can receive compensation when wolves kill or injure their livestock and who can kill Mexican gray wolves under certain circumstances, have nevertheless pressured the service to forego or delay necessary conservation measures, claiming that the wolves will wipe out their livestock. These concerns all fly in the face of data from government agencies, including the Arizona Game and Fish Department, that show Mexican gray wolves have had no discernible impact on elk and deer and are responsible for less than one percent of all regional livestock deaths per year. 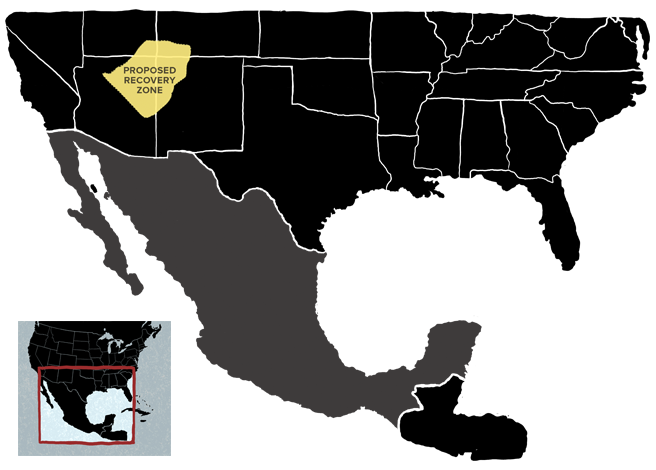 Nevertheless, the service continues to cater to these state interests by creating an arbitrary boundary on the species’ recovery zone and severely limiting the number of captive wolves being released to the wild, which leaves the population to stagnate in its recovery. 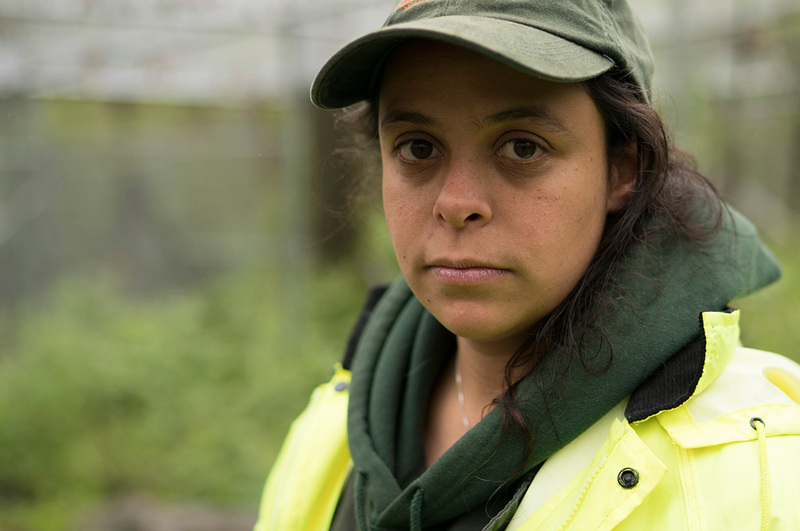 Rosa roams the Wolf Conservation Center's densely wooded 28-acre property. One of the service’s most egregious failures has been its inability to finalize a scientifically sound recovery plan that would serve as a blueprint for the species’ survival. Following more than three decades of delay by the U.S. Fish and Wildlife Service, Earthjustice filed a lawsuit to force the service to finalize a Mexican gray wolf recovery plan. 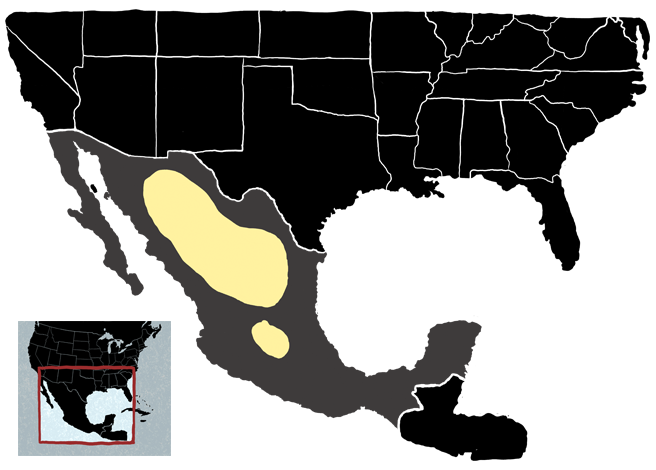 The Wolf Conservation Center, the Endangered Wolf Center in Missouri, other conservation organizations, and Dave Parsons, a former U.S. Fish and Wildlife Service biologist who has been working for Mexican wolf recovery since the 1990s, are among Earthjustice’s group of clients. 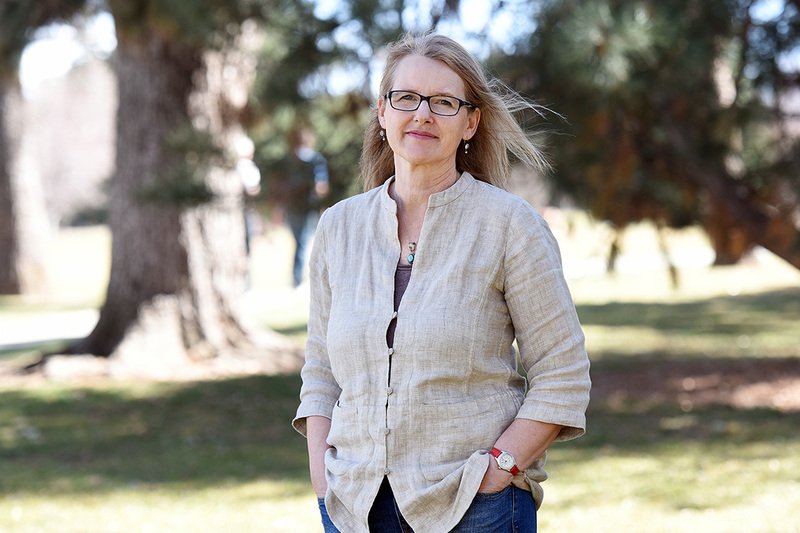 Heidi McIntosh, Managing Attorney of Earthjustice's Rocky Mountain office, in Denver. 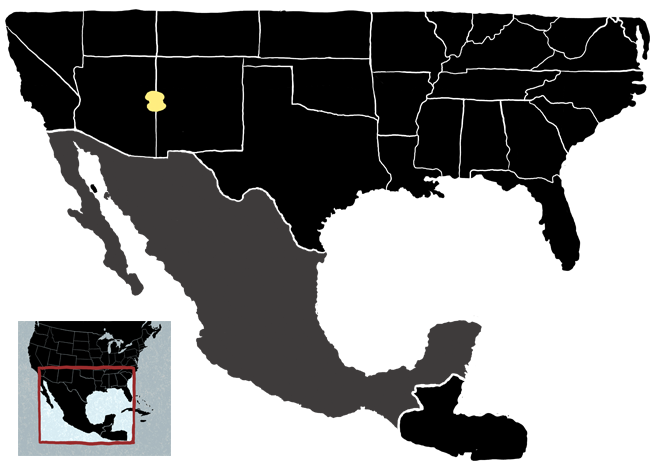 Alongside our partners and clients, Earthjustice has worked for more than a decade on behalf of wolf populations throughout the country. Further, of the four wolves released, one was returned to captivity because of conflicts with livestock. The other three wolves were all killed—either poached or destroyed by federal agencies. More wolves would help diversify the wild population’s gene pool and give the species a fighting chance at survival. But rather than release adult wolves and full families to the wild, the service has instead employed a logistically difficult and invasive process known as cross-fostering. A captive wolf mother whelps a litter. The Fish and Wildlife Service decides whether to orchestrate a cross-foster with a pair of wild wolves. 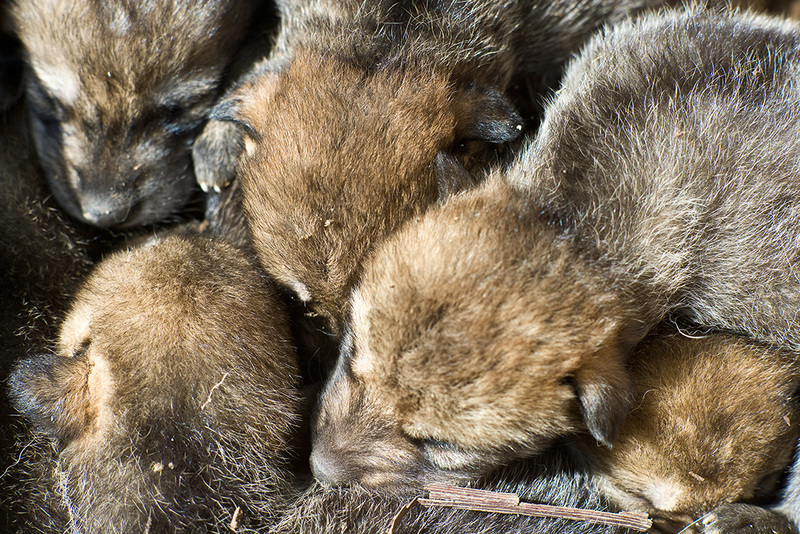 For cross-fostering to work, a wolf in the wild must whelp a litter within four days of the captive birth. Biologists will fly several of the captive-born pups to the wild den located in Arizona or New Mexico and place the pups with the wild litter. If the wild litter is large, several wild pups may be swapped out and flown back to be raised in captivity. Hurry! This all has to take place within a 10-day span before the pups open their eyes. Cross-fostering is risky to vulnerable newborn pups and has had limited success. 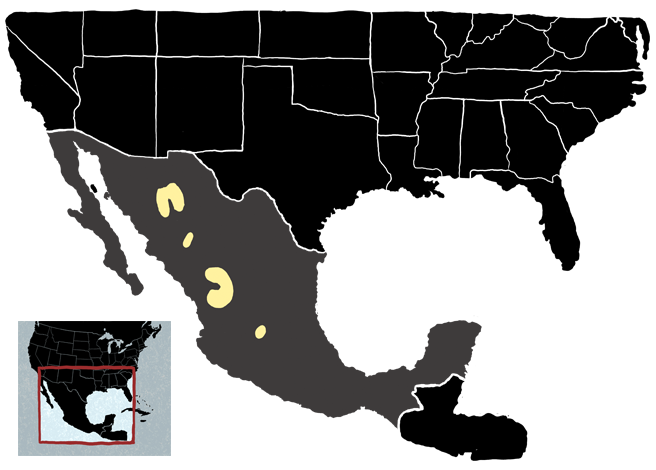 The solution lies in releasing whole wolf families into a larger geographic area. Over the years, Rosa’s pack thinned. Her father died in 2008 of renal failure. Her mother was euthanized in 2016 after her back legs failed her. The older siblings were sent to zoos. One of her brothers was released into Mexico, but was later killed. Another brother died in 2016 of nasal cancer, a disease that impacts many captive lobos. Her kind at large has also suffered. By the most recent count, only 113 remain in the wild. Last year, the U.S. 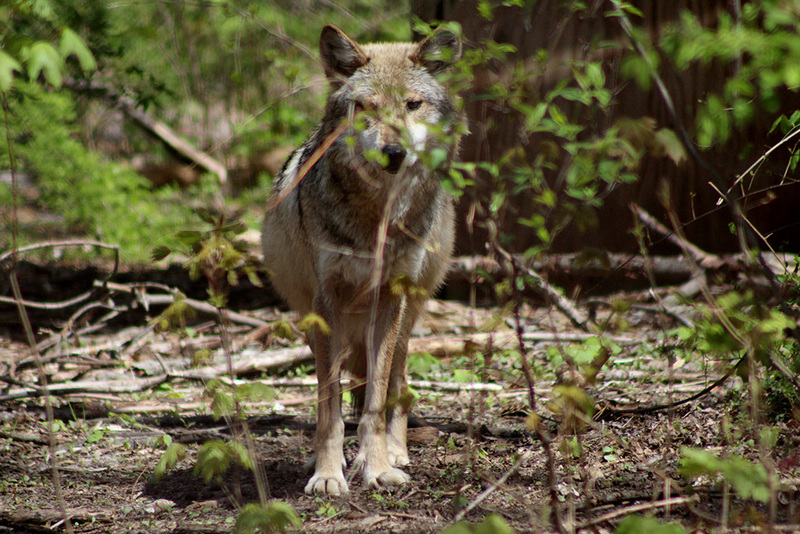 Fish and Wildlife Service reported that 14 wolves were killed, and they have admitted that poaching is a major problem. Scientists have determined that at least 750 wolves in three separate, but connected, populations are needed to prevent their extinction. The wolves have a long way to go. An expectant Rosa, April 27, 2016. In 2016, Rosa was paired up with a male lobo that was brought to the center from Seneca Park Zoo in Rochester, N.Y. Last March, one of the center’s 13 wolf cams caught the pair in a copulatory “tie.” Growing long in the tooth, Rosa will likely live out her life in captivity; however, her offspring would have a real—though complicated—shot at being released into the wild. On May 4, 2016, Rosa gave birth to one pup, F1505, a little female with a tuft of blond fur on her head. Wolf enthusiasts nicknamed her "Trumpet" for her loud squeaks. Eight years after Rosa was born, Bose holds Rosa's week-old pup F1505, ‘Trumpet,’ in 2016. The birth was a bittersweet outcome. Because Rosa didn’t produce a large litter, the service opted not to proceed with a cross-foster because it didn’t want to risk distressing her by removing her only offspring. So for now, Trumpet remains in captivity. Trumpet, with her family at the Wolf Conservation Center. Trumpet, with her family at the Wolf Conservation Center during the summer and fall of 2016. 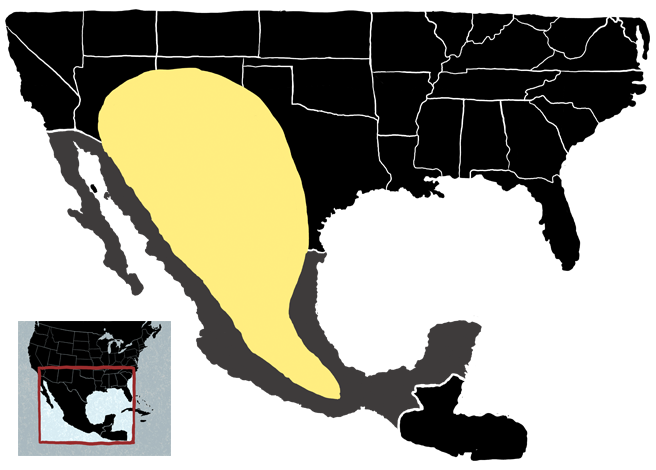 Last April, just a week before Trumpet was born, Earthjustice reached an agreement with the U.S. Fish and Wildlife Service that requires it to complete a recovery plan for the Mexican gray wolf by the end of 2017. On June 29, 2017, the service produced a draft that, unfortunately, is riddled with scientific shortcomings that will hinder recovery, if not lead the lobo to its eventual extinction in the wild. The agency refused to listen to the tens of thousands of people who asked them to fix their flawed draft plan before finalizing it. Among the people who weighed in asking for stronger protections for the wolves were concerned citizens, business owners and scientists. On Jan. 30, 2018, Earthjustice—on behalf of the Center for Biological Diversity, Defenders of Wildlife, retired Fish and Wildlife Service Mexican Wolf Recovery Coordinator David R. Parsons, the Endangered Wolf Center and the Wolf Conservation Center—filed a lawsuit challenging the deeply flawed recovery plan for the Mexican gray wolf. The plaintiffs are asking a federal judge to order the government to develop a Mexican wolf recovery plan that legitimately responds to recovery needs for the species as the law requires. We will continue to work towards a future where Trumpet and her kind can again roam free across the American Southwest and not remain cooped up forever, howling from behind chain link fences thousands of miles from their home. Help Rosa, Trumpet and their kin have a fighting chance at survival. 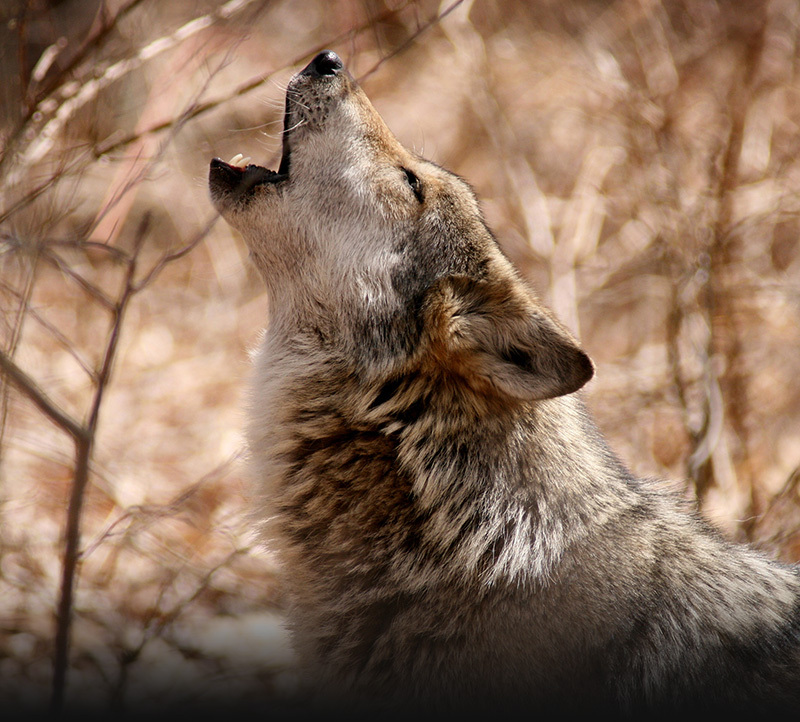 68,349 people have already taken action to demand more wolves, less politics! Your voice is needed to tell the U.S. Fish and Wildlife Service to complete a recovery plan for the lobos that is based in science. The agency is asking for comments from the public on their draft plan only until August 29. Acknowledgments Special thanks to the Wolf Conservation Center for the use of the videos and photos and for their partnership in helping to secure a future for wolves. Learn more at NYWolf.org. 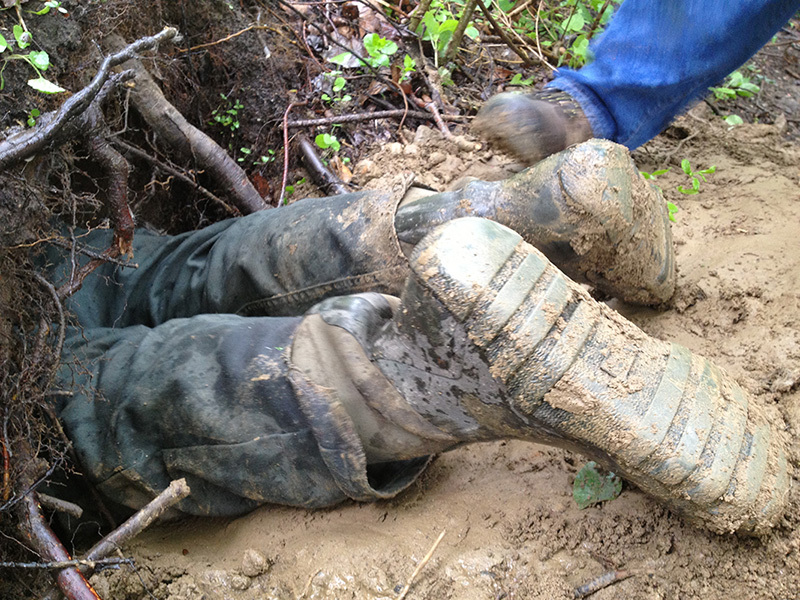 Additional Resources Find the latest court filings and other documents on the Earthjustice legal cases described in this feature story. 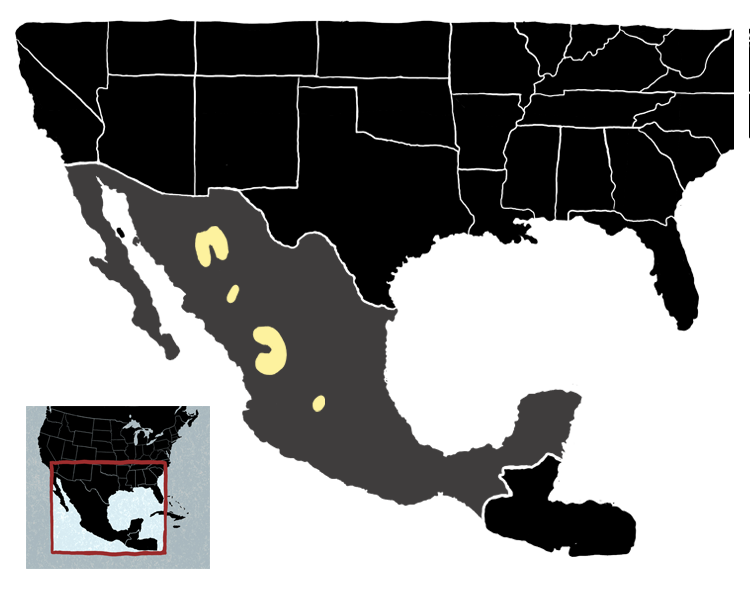 And, read the explainer on What You Should Know About Lobos to learn more about the species.